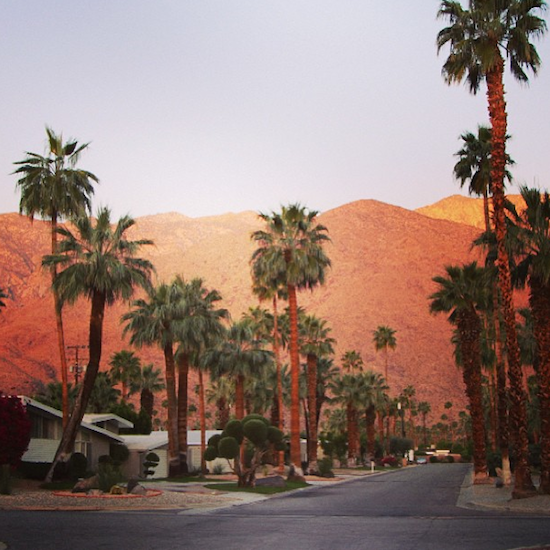 I’m back from my trip to America and I have to say that Palm Springs very much agreed with me; the climate, the scenery, the laid-back atmosphere. I travel a lot and am quite difficult to please when it comes to a change of location, but Palm Springs ticked many of my boxes. The area I stayed in (near to the Ace Hotel) was so quiet (my number one requirement) and the mid-century modern architecture was just a dream come true for me. Hundreds of perfect, perfect houses with palms and cacti surrounding them, all looking as though they’re straight from a film set. You’ll see some of the houses in the upcoming videos on my Youtube channels.